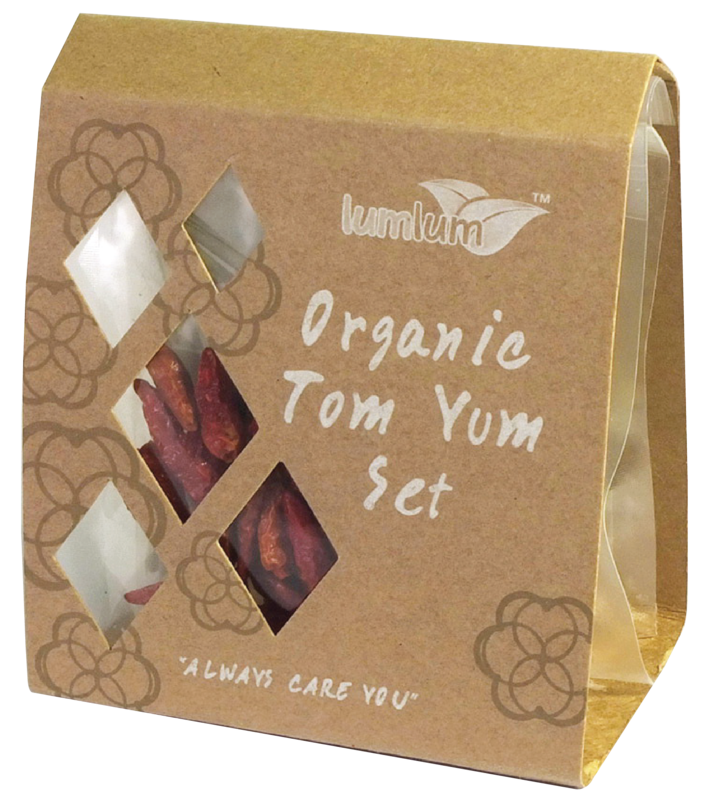 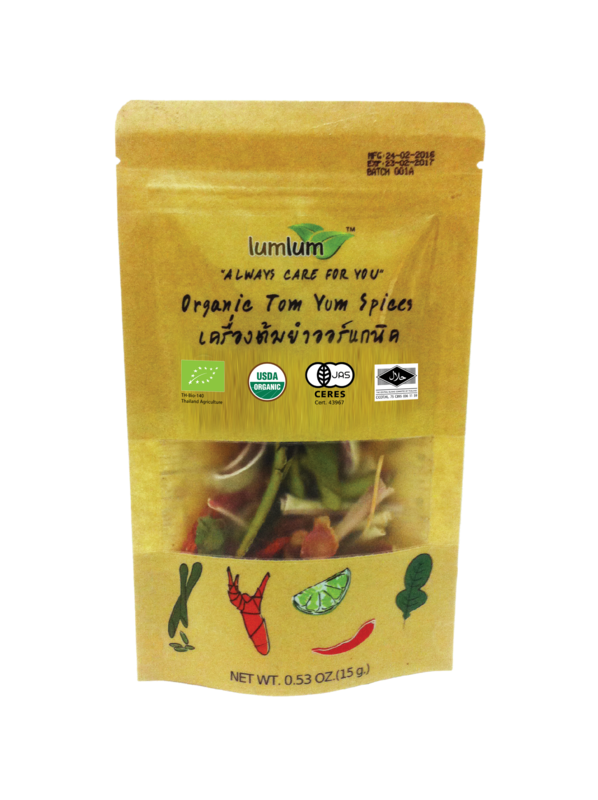 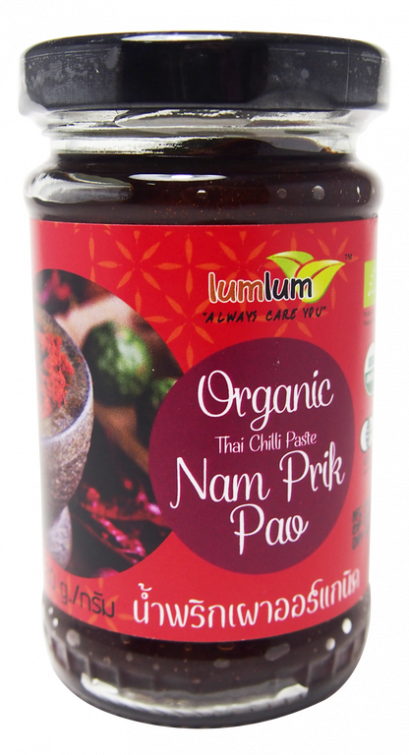 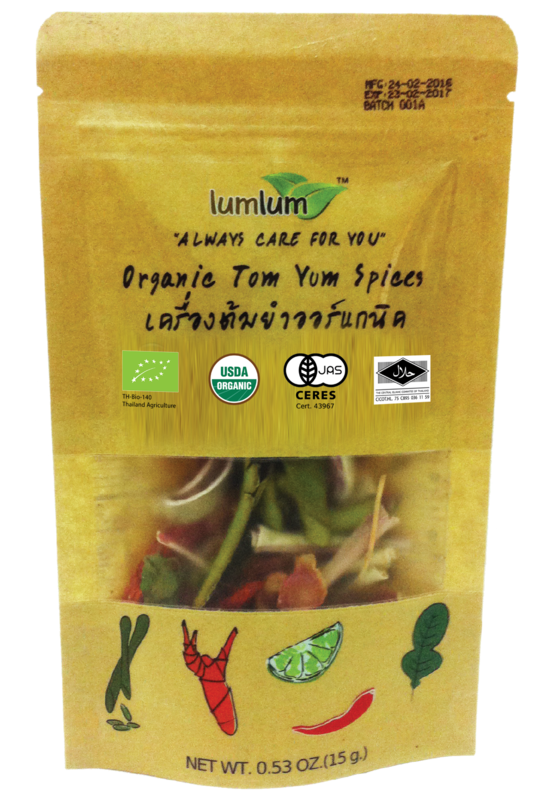 A combinaton of organic herbs & spices of Tom Yum Soup, containing compatible ingredients such as lemongrass, galangal, kaffir lime leaves and chillies. 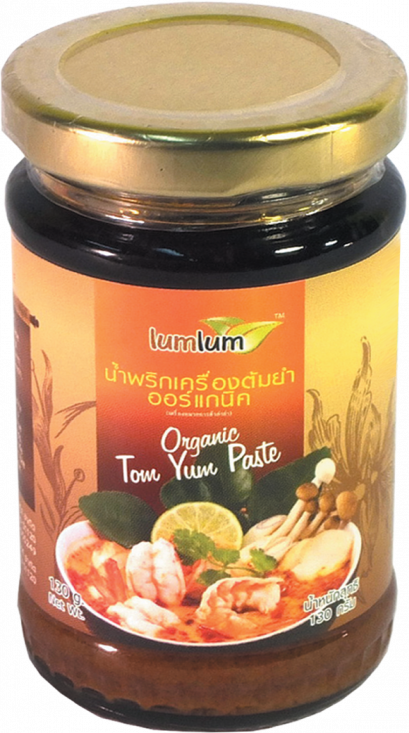 Cook your delicious Tom Yum Soup with chicken stock, mushrooms, or prawns. 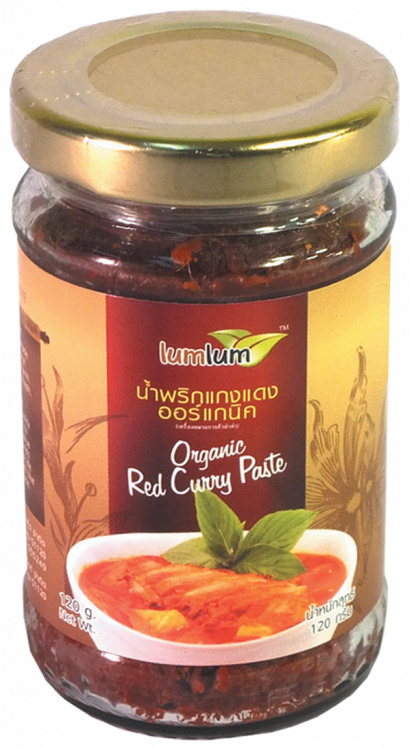 Enjoy the great taste! 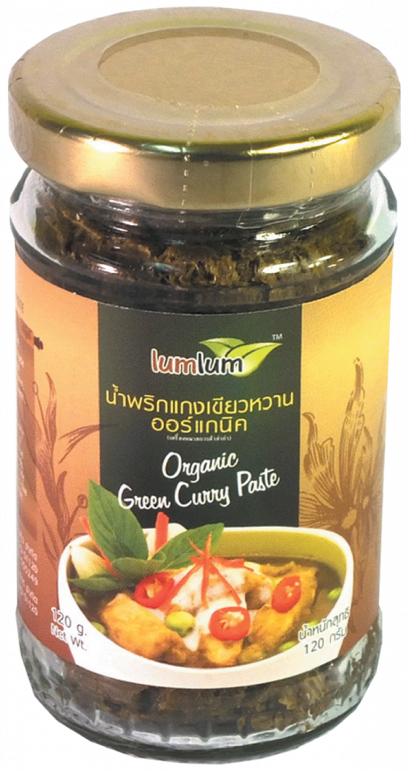 Height included pallet : 111 cm.